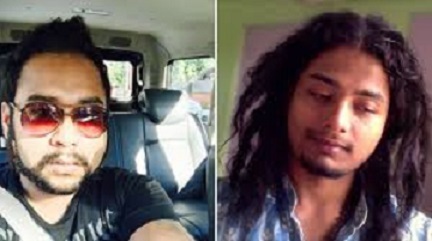 The Gauhati High Court has ordered the immediate shifting of the trial of Karbi Anglong lynching case to a fast track court in Nagaon following the Assam Government’s apprehension that witnesses will not be able to depose freely in Karbi Anglong. A report published in the The Telegraph stated that a division Bench of Chief Justice Ajit Singh and Justice Manojit Bhuyan, in a written order on Tuesday, said the trial of the case would be shifted to Nagaon District and Sessions Judge court to “fast track and conclude it as expeditiously as possible”. The report further stated that families of Nilotpal Das and Abhijit Nath, who were lynched by a mob at Panjuri under Dokmoka Police Station on June 8 last, had also sought to shift the trial venue. The duo, hailing from Guwahati, were dragged out of their SUV by a mob and killed on the suspicion of their being child-lifters. The shocking video of the incident which had immediately gone viral triggered demands for a speedy trial and justice to the families. “Having regard to the ghastly lynching of two youths and surcharged atmosphere following the incident, there is every reason to believe that witnesses will not be able to depose freely in Karbi Anglong. We accordingly direct that the case filed in the court of Chief Judicial Magistrate, Karbi Anglong, Diphu be transferred immediately to the court of Chief Judicial Magistrate, Nagaon,” said the High Court order. The court is monitoring the progress of the case by registering a suo-motu Public Interest Litigation (PIL). The Assam Police on Saturday filed a 46-page chargesheet, along with 798 pages of supporting documents and 71 witnesses, against the 48 accused. All the accused are in judicial custody. The police had also told the court that trial be shifted in order to avoid “undue influence from local factors”. The Assam Government had also informed the High Court that certain quarters had been trying to create ethnic and communal tension over the issue.